Fashion Detective is an exhibition at the National Gallery of Victoria that draws on the public fascination with the social life of clothes. Using material evidence, hearsay and forensics, along with specially commissioned fictional stories, more than 70 unattributed garments and accessories from the museum’s world-class Fashion & Textiles Collection will be examined under the microscope providing an intriguing, investigative exhibition that seeks to uncover the people and histories behind these extraordinary pieces. From poisonous dyes, concealed clues, mysterious marks, fakes and forgeries, to missing persons, Fashion Detective is comprised of small vignettes that reveal the extraordinary stories behind these garments. Displayed within a stylized black and white exhibition design reminiscent of an ornate Victorian house, the exhibition will be a compelling encounter with the art of detection and the long forgotten makers and owners. A range of forensic conservation techniques were employed on the works and are featured in the exhibition including X-rays, infrared photography, dye analysis and microscopy. 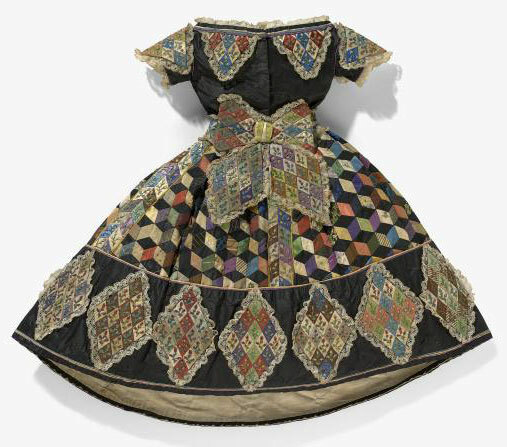 During the conservation condition assessment of this Victorian doll’s dress in 2006, it was noted that damage had caused two small sections of paper containing text (one handwritten, one printed) to become visible, indicating the existence of paper templates beneath the silk. 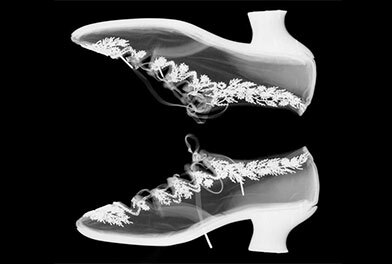 Transmitted light and infra-red analysis revealed that many of the paper templates inside the doll’s dress contained printed words produced by both letterpress and copperplate techniques. The findings will be displayed in the exhibition alongside the garments to help visitors piece together information about the items. Can’t attend exhibition? Read Fashion Detective online, a fabulous 48-page color e-book of the exhibition. Fashion Detective also puts some of Australia’s best crime writers on the case. Kerry Greenwood, Lili Wilkinson, Sulari Gentill and Garry Disher have developed short fictions based on the works on display, creating plots, characters and narratives to build a rich picture bringing the garments to life. These fictions are placed throughout the exhibition as audio and are accessible on a free e-book in the space which utilizes interactive multimedia technologies. 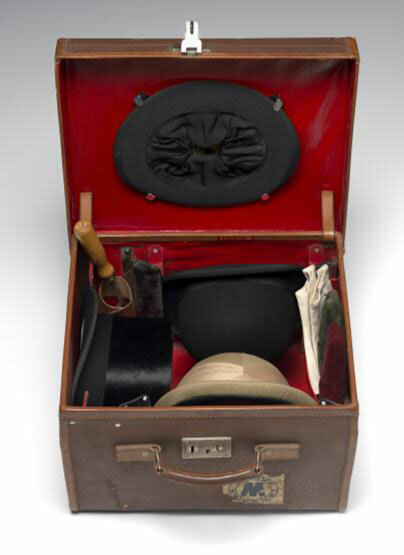 The Fashion Detective exhibit is on display at The Ian Potter Centre: NGV Australia from 9 May to 31 August 2014.